Join us for our first ever BRAS FOR TATAS Live Bra Auction during Project Pink on Saturday, October 21, 2017. 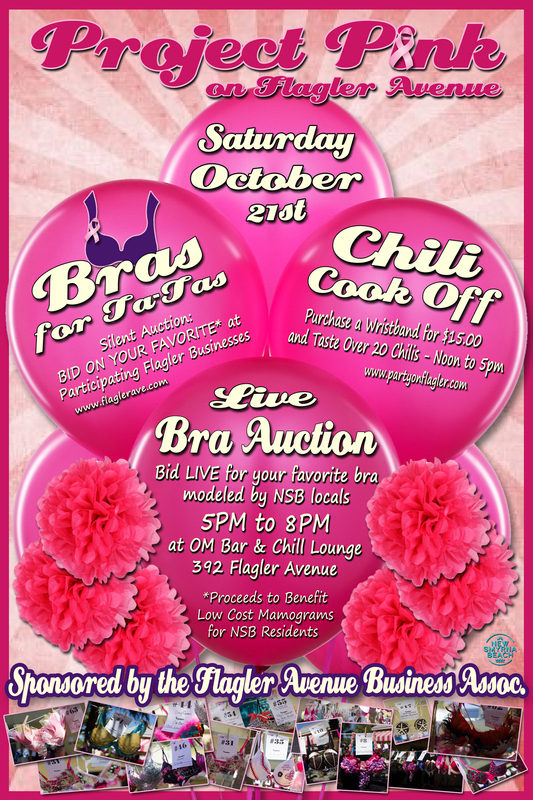 Bid on one-of-kind decorated bras created by Flagler Avenue Businesses and friends. And of course join in the fun watching your friends model them. All in good fun, all for a great cause. This year’s Halloween Bash extravaganza theme is Fanta-SEAS, the auction is a great place to pick up a part of your costume and help those without health insurance obtain low cost Mamograms at the same time!